“During the night of August 12th-13th, the East German authorities put into effect illegal measures designed to turn the boundaries between the West sectors of Berlin and the Soviet sector into an arbitrary barrier to movement of German citizens resident in East Berlin and East Germany. Not since the imposition of the Berlin Blockade has there been such a flagrant violation of the Four-Power Agreements concerning Berlin. The agreement of June 20th 1949, in which the USSR pledged itself to facilitate movement within Berlin and between Berlin and the rest of Germany, has also been violated. In disregard of these arrangements, and of the wishes of the population of this city… freedom of circulation throughout Berlin has been severely curtailed. Traffic between the east sector and western sectors of Berlin has been disrupted by the cutting of S-Bahn and U-Bahn service, the tearing up of streets, the erection of roadblocks and the stringing of barbed wire. In carrying out these illegal actions, military and paramilitary units, which were formed in violation of four-power agreements and whose presence in East Berlin is illegal, turned the Soviet sector of East Berlin into an armed camp. 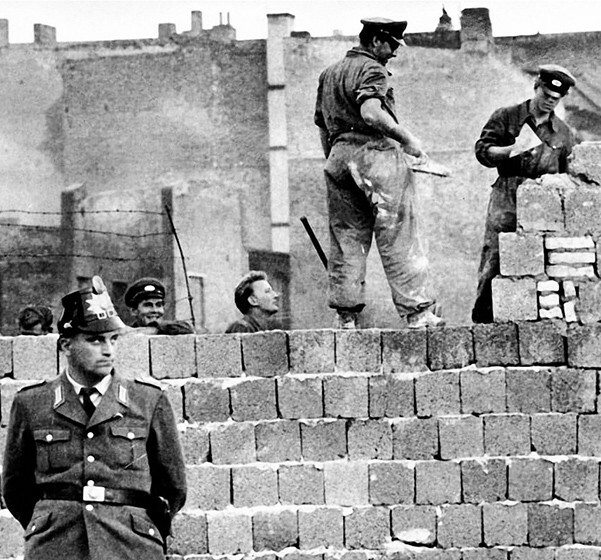 Moreover, the East German authorities have now prohibited the many inhabitants of East Berlin and East Germany who were employed in West Berlin from continuing to pursue their occupations in West Berlin. They have thus denied to the working population under their control the elementary right of free choice of place of employment. It is obvious that the East German authorities have taken these repressive measures because the people under their control, deeply perturbed by the threats on Berlin recently launched by communist leaders, were fleeing in large numbers to the West. It has been pointed out many times that there are based in West Berlin, under the cover of the occupying powers, diversions, undermining and spying organisations which are conducting their activities against the GDR, USSR and other socialist governments… The politicians of the Federal Republic of Germany [West Germany] have openly named West Berlin the ‘front-line city’ and called upon it to interfere with the peaceful work in the GDR and other socialist countries.